The overall objective of the 2nd Annual Direct Action Tactical Warrior Challenge: Tribute to Medal of Honor Recipients is to bring together our community to celebrate the sacrifices made by America’s Armed Forces past and present. We hope this event will foster teamwork and a sense of esprit de corps long since felt by our service members. The events may be challenging for some and easy for others. Yet in the spirit of teamwork and camaraderie individuals joining together for a common goal- to finish a task with honor, courage, and commitment is truly at the core of our military values. Note: This is a force on force airsoft event, you will be hit with airsoft BBs. It is advisable that participants wear appropriate clothing such as shirts with long sleeves, long pants, gloves, and sturdy footwear. 4. Groups not consisting of 4 members will be merged with other participants into a 4 person team. No, we welcome anyone that wants to come and support our military members on their day. There will be opportunities to provide a donation to the causes we are supporting but it’s not mandatory. Yes, as we have in the past 3 years, 50% of all proceeds and ALL donations go to the Wounded Warrior Project. For more information check out http://www.woundedwarriorproject.org/. The remaining 50% from proceeds take care of our event costs. As in the past, Direct Action Tactical makes no profit on these events. Hell yes, but they are non-lethal, there are minimum engagement rules, and it’s a CRAZY good time!! Each participant will engage in 4 rounds of physical activity as a team broken up by an objective based airsoft team challenge. The objective of the airsoft challenge will be a capture the flag style game. 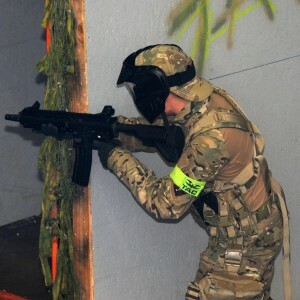 The winning team will be awarded a point, the team with the most points in each heat will be awarded a free day of play (to include rentals) from Tango Down Airsoft Arena as well as some other AWESOME prizes from various vendors and event supporters. Please plan to arrive at the training center (located at 274a Granite Run Drive; Lancaster, PA 17601) at least 30 minutes before your selected heat. ALL participants MUST report to the registration desk prior to competing in the event. You MUST be 10 years or older to participate in the event. Anyone under the age of 18 MUST have their waiver completed by their parent/guardian. Participants between the ages of 10 – 14 must be accompanied by a responsible adult over the age of 21 who remains on the premises during their event. 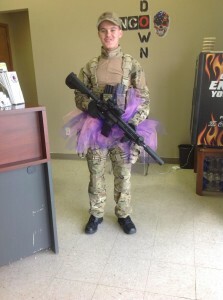 An airsoft Warrior dresses like this. We will even take this. We don’t recommend you dress like this. Or that you look like this! 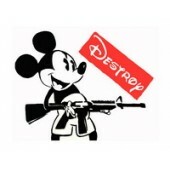 Tango Down Airsoft will be providing ALL airsoft guns and bb’s. They will also provide you with a full airsoft mask. You are welcome to use your own mask as long as it is approved by Tango Down. There will be food available for purchase on site. ALL Active, Reserve, and Prior Service military members are eligible for a discount based on your current status. Active and Reserve members will receive a 100% discount. Prior Service will receive a 50% discount. ACTIVE AND RESERVE service members will be required to show your valid CAC on the day of the event in order to validate your 100% discount. You are also encouraged to bring a photo of yourself in uniform to hang on our wall of heroes. This is not a requirement for the Active Duty and Reserve Military discount. THOSE PERSONS WITHOUT VALID IDENTIFICATION WILL BE CHARGED $30 TO PARTICIPATE. In order to be eligible for your 50% discount you MUST bring a photo of yourself in uniform which will be kept and placed on our wall of heroes to be prominently displayed in our lobby. IF YOU DO NOT BRING A PHOTO OF YOURSELF IN UNIFORM YOU WILL BE CHARGED THE FULL REGISTRATION RATE TO PARTICIPATE. Direct Action Tactical was established by a US Marine Corps Veteran. We have designed this event to honor the men and women who serve and have served our country. We at Direct Action Tactical take military service seriously, thus we also take any attempts to LIE about this VERY seriously. Please don’t make the mistake of misrepresenting yourself. INTEGRITY IS THE CORNERSTONE OF PATRIOTISM. For those looking for a more traditional martial art discipline, Direct Action Tactical Self Defense Training Center is pleased to offer American Kenpo Karate based classes. These classes are offered through Black Dragon Self Defense. The American Kenpo style as taught by Eric Sollenberger, founder of Black Dragon, fits well with the Direct Action Tactical philosophy of “Real World Knowledge by Real World Instructors.” Much more than a typical martial art system, American Kenpo Karate uses real-world situations to prepare you in case you ever need to use what is learned. It’s self defense for what you’re likely to encounter. American Kenpo Karate is not pretty, flashy or impractical. It is designed to get you out of trouble and back home safely – I cannot say as much for those who attack you. In the studio, we do solid body work and sparring to prepare ourselves. We work hard, we train hard and we fight hard. Because Kenpo Karate relies on speed and brutally striking vital targets instead of physical strength, it is extremely effective and can be performed by someone of any body type or experience. To learn more about Black Dragon including pricing and information on Mr. Sollenberger please visit the Black Dragon Kenpo website. Classes are held at the Direct Action Tactical Self Defense Training Center on Monday and Thursday evenings from 7:30pm – 8:30pm.